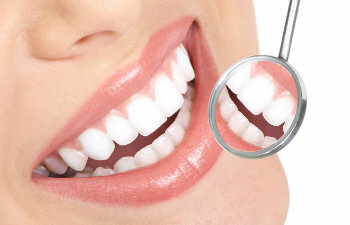 White fillings, also known as tooth-colored fillings, are the preferred option for repairing a cavity. White fillings offer an aesthetically pleasing and non-invasive solution for dental issues such as cavities, small gaps between the teeth, chipped teeth, and more. White fillings are made of composite resin, which dentists can use to color match your natural teeth. These fillings do not contain mercury like amalgam fillings do, so there are no side effects to having them in your mouth. Of course, with white fillings, people do run the chance that the resin will become stained or discolored over time. Just as with any white surface, discoloration can occur from foods, beverages, and decay that is constantly in contact with it. With some effort, you can prevent stains on your white fillings so that they look attractive and serve their purpose for years to come. Limit your consumption of foods and beverages that are well known for their staining attributes. Coffee, tea, berries, and red wine are all notorious for leaving behind a dark film on the teeth. If you do indulge in these, make sure to rinse your mouth and brush your teeth shortly afterward to prevent staining. Keep your mouth as clean as possible. Brushing your teeth at least twice a day and flossing daily are the best methods for removing the daily grime from your teeth. With regular cleaning and regular dental visits, you can remove staining agents from the teeth so that they do not leave behind dark tints to your teeth or white fillings. If you have had white fillings in the past and they are starting to show discoloration, it may be time to replace your fillings. This is especially true for those who had fillings repaired on the front teeth, where discoloration is extremely visible. At Gold Hill Dentistry, we value the importance of our patients’ smiles and oral health. If you have any questions regarding white fillings, whether or not they are appropriate for you, or how to replace old fillings, please contact our practice today.